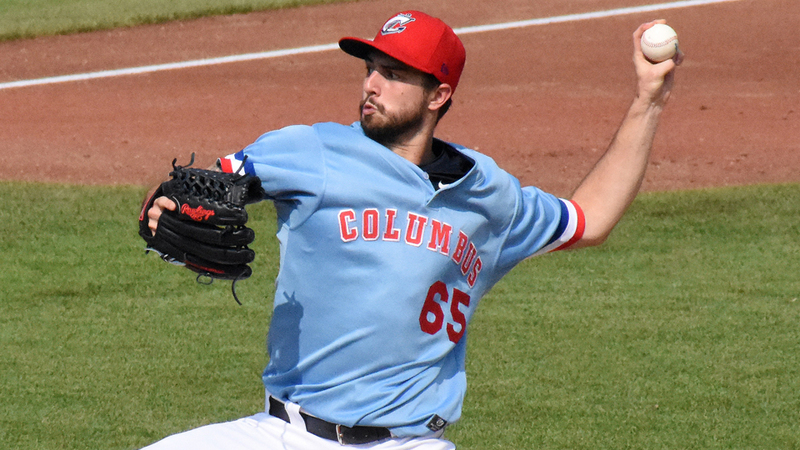 The Columbus Clippers used a strong start and a lot of offense to defeat the Louisville Bats, 7-1, in the second of a three-game series tonight at Huntington Park. With the win, the Clippers clinched the series with back-to-back wins and extended their first-place lead in the IL West to 1.5 games over the Indianapolis Indians. Adam Rosales stated the scoring early for the Clippers, launching his 18th homerun of the year over the right field wall for a 1-0 lead in the first inning. The Bats bounced back with a Steve Selsky RBI infield single to tie it against Clippers' starter Ryan Merritt in the second. It wasn't long before Bobby Bradley gave the Clippers the lead for good with a two-out, two-run double in the fifth to make it 3-1. The next batter, Joe Sever, doubled Bradley home to extend the lead to 4-1. The Clippers tacked on three more in the sixth on an Oscar Mercado RBI squeeze bunt and a Brandon Branes two-run double to give Merritt all the support he'd need. Ahead 7-1, Merritt finished his day with a scoreless seventh inning. He finished having allowed just one run on six hits. He struck out nine Bats and didn't walk one in his seven quality frames. Both teams were kept quiet after then, affording Columbus the victory. The Clippers and Bats will conclude their series tomorrow at Huntington Park. First pitch is schedule for 6:35 p.m.